The prostate secretes fluid that nourishes and protects sperm. 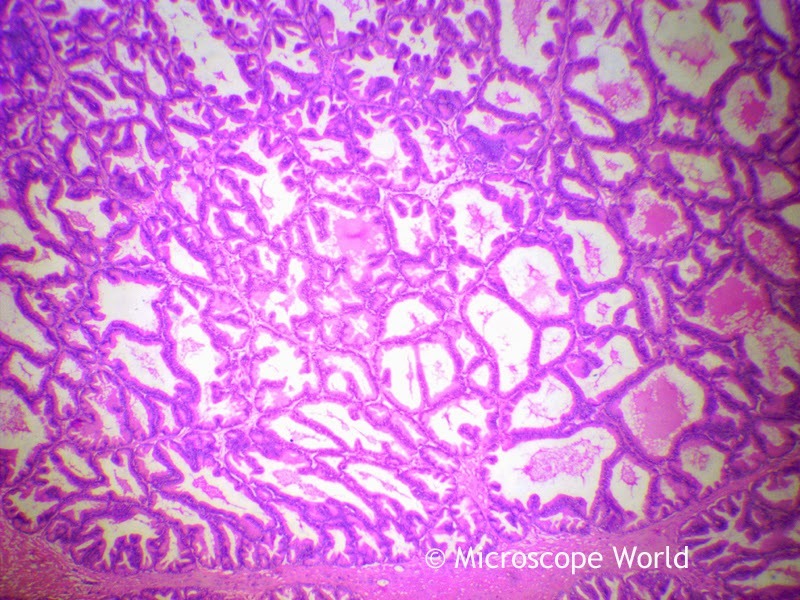 The images below of the prostate gland were captured using a biological microscope and a basic microscope camera. Prostate gland under the microscope at 40x. 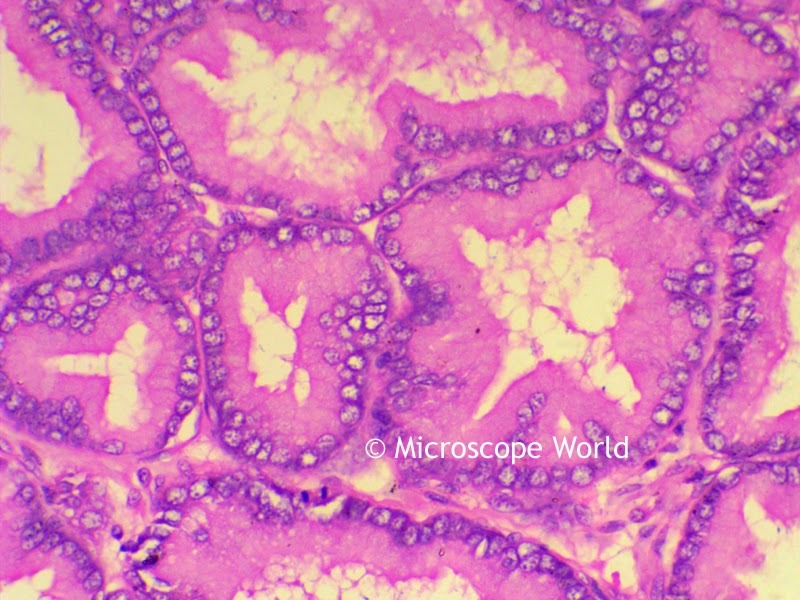 Prostate gland under the microscope at 100x. Prostate gland under the microscope at 400x. 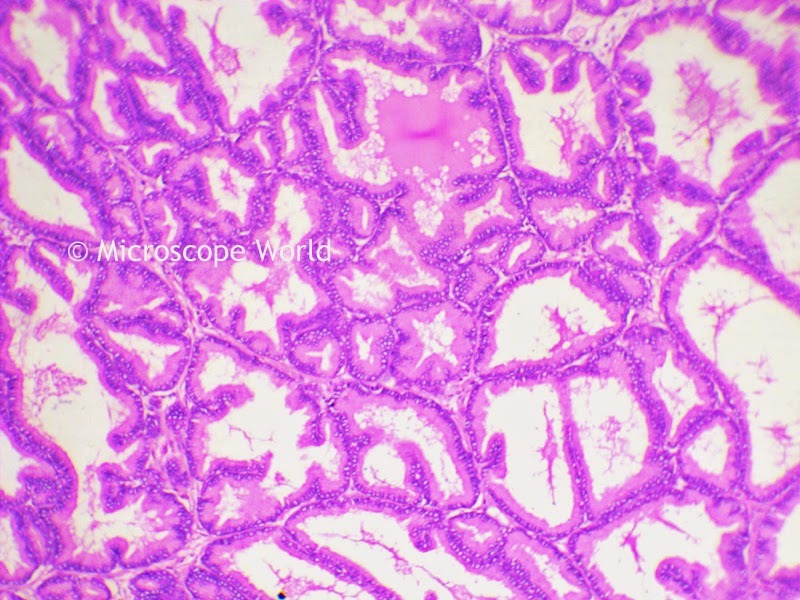 The prostate gland is one of many prepared slides that Microscope World offers.